Or If It’s Not Terrifying, You’re Not Doing It Right. I’ve been a professional composer for 20 years now, and in that time I’ve written all kinds of music, for all kinds of ensembles, large and small. For most of it, that has meant having a chat with the commissioner about the parameters of the piece, then spending a lot of time alone, first thinking about the piece (for a looooong time), then, when the picture of the piece has become clearer, sitting at my drafting board with pencil and paper (and a piano and a metronome nearby). But it seems many of my recent projects have been (a) large-scale and (b) collaborative, which adds a whole other dimension to the process. The oratorio Afghanistan: Requiem for a Generation, the choral opera Mother/Land, and the Listen Up NWT project’s Midnight Sun Songs all took up big long stretches of time, and I loved the challenge and excitement of each, and the opportunity to work with artists in other disciplines, whose imaginations and creative responses expressed themselves so differently from me. 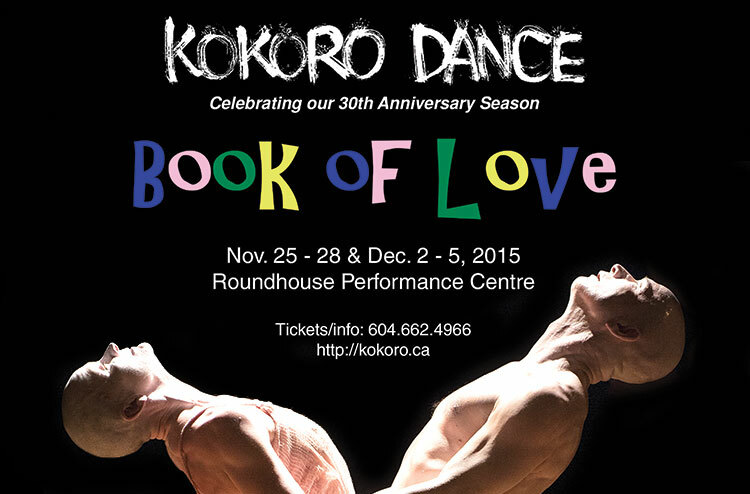 So when Jay Hirabayashi and Barbara Bourget of Vancouver’s Kokoro Dance invited me to collaborate with them on Book of Love, an hour-long work for dance and live music, I was not immediately terrified. While I was composer-in-residence with the Vancouver Symphony, we had worked together on a couple of co-productions of concerts of new music and dance for the VSO and the Vancouver International Dance Festival, so I knew that I loved Kokoro’s work. Barbara had choreographed dances to several existing pieces of mine, including Bellatrix, ecce homo and Stillpoint. Book of Love would be a full hour long, but, hey, I’d just written an hour-long oratorio and a 75′ choral opera, so writing an hour of music isn’t necessarily daunting, just time-consuming. 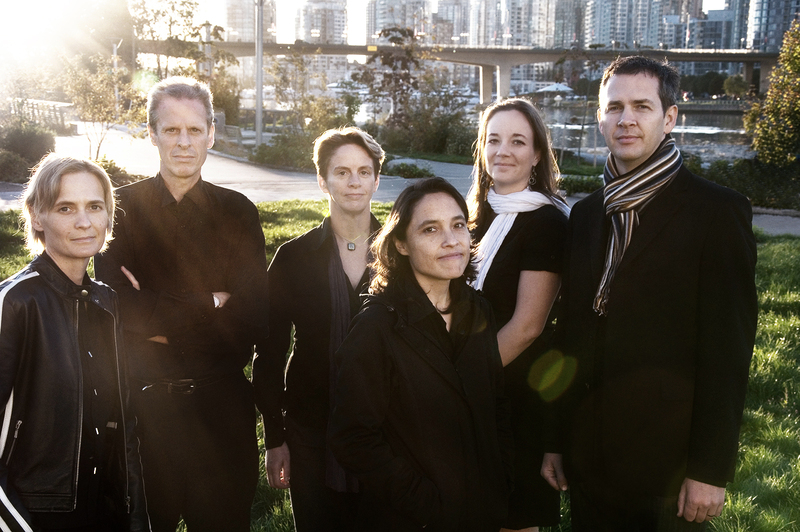 The music would be performed live on stage by the sextet Standing Wave, whose members I’ve known for a long time, whose work I also loved and who had commissioned and recorded Burn. So though I had never written a new piece expressly for dance before, I felt like, collectively, I had had the various experiences I would need to draw on. Thankfully I did at least have that experience, because when it came to the process, little did I realise how much this would take me out of my comfort zone! Which is a good thing for any artist, but, let’s be honest, it’s also more than a little terrifying. And the reality is that artists in different disciplines approach their creativity differently. I am in awe of dancers (I secretly wish I could be one and did not have, as a high school friend once said to me, “the grace of an ox”) and I am fascinated (and mystified) by choreographers who respond with movement where I would respond with sound. The idea was that choreographer/dancers Jay and Barbara would be joined by dancers Molly McDermott and Billy Marchenski, and they would develop movement vocabulary, and form that into short pieces. Then I would watch what they had done and respond with music. I saw the initial movement ideas last fall, which got the wheels turning in the back of my mind while I was actively working on other projects (and keeping in mind that not all that movement material would end up in the finished piece). Then I saw more shaped movement in March, by which point I was ready to start putting pencil to paper. Which is when my part of the collaboration started in earnest. And when the nice secure cocoon of my comfort zone dissolved, and I emerged to embrace a whole new process. But let’s talk about that in the next post. Hi Jeffrey! This is a wonderful insight into your process. So glad it came across my FB feed (from Jay, of course). Haven’t seen you in ages but glad we are still both alive and kicking! Hi, Judi! Yes we’re both alive and kicking! The Kokoro project really made me shake up my “usual” process. If you come to one of the performances in a couple of months, be sure to let me know. Hope you are doing well!